Canadians have always made up a large percentage of home buyers in Scottsdale. The sunny skies, warm winters, dry climate, and breathtaking views of mountains and desert attract many Canadians, especially Albertans. The recent plummet of Scottsdale home prices and a rising Canadian dollar have made Scottsdale homes even more attractive to Canadian buyers. Over the past several years, Canadians have flocked to Arizona to take advantage of the lowest real estate prices in over a decade. 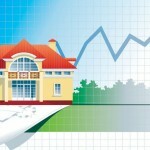 Now that the U.S. housing market has turned for the better, home prices are beginning to increase. Canadians are flooding into the market to take advantage of the perfect storm – rock bottom home prices with a strong Canadian dollar above par. 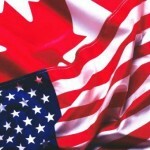 In the fiscal year just ending in March, Canadians accounted for 24% of U.S. home sales to foreigners. Although home prices are slowly on the rise in the U.S., there is still time for Canadians to purchase their spot in the sun. This year, the median sale price for a home in Canada was $350,192, whereas the median sale price in Arizona in August was $187,400. The Canadian dollar goes much farther in Scottsdale than it does in many Canadian cities, including Calgary and Edmonton. If Canadians have their sights on a vacation property in a sunny climate, now is the time to buy. High-end homes in Scottsdale, Arizona and the surrounding areas are at their lowest cost in years, but the won’t be for long. 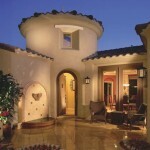 Buy a luxury condo or spacious home in picturesque Scottsdale. Enjoy up-close views of Pinnacle Peak, world class golf courses, gourmet restaurants, upscale shopping and 300 days of sunshine per year. The current economic climate is in your favor. Call me at (800) 300-0263 about buying a home in the Arizona sunshine today. I am originally from Alberta and love to help Canadians find their dream homes.